Maxtropin Performance Enhancer Review - Is this trial a scam? Maxtropin Performance Enhancer Review – Is this trial a scam? Maxtropin is a performance enhancer often seem advertised with a testosterone booster called Testropin. Despite their impressive claims, as they are both available for trial there are doubts in my mind, not only regarding the effectiveness of the product, but also whether these supplements are a scam or not. In previous reviews of trial offers like this we have found that there are often hidden charges and auto-shipping to contend with. In the following review we will look at Maxtropin in more detail before we decide whether this offer should be recommended, or whether like so many trial offers before it would be best avoided. 4 Is Maxtropin a scam? While impressive sounding, we would advise you to ignore claims such as this as they have been designed to get you to make a ‘snap’ decision, and to sign up for the offer without looking for proof. In our opinion you should always spend a little time looking for proof, you most certainly do not want to take a supplement that does not work, or even worse could potentially cause harm. I suggest you look to see what ingredients the supplement is made from. First off you will find that there is no label available so no way of knowing exactly what this supplement contains. They do mention that it contains L-Arginine, Maca Root, Siberian Ginseng, Tribulus Terristris and Yohimbe, which have all been shown to be beneficial for aiding muscle growth. Unfortunately without knowing the dosages there is no way of knowing what benefits these will offer. It is always best that you see a label, otherwise there will always be doubts regarding its effectiveness. While it mentions that you can get a “free bottle” this is not entirely true. The truth is that not one aspect of this is free. From the shipping cost of $3.95 to $$6.95, or the final price of $59.95, which will have to be paid at the end of the 14 day trial, the free trial claims are incredibly misleading. Maxtropin also operates an auto-ship program too, so when you sign up for this offer you will also be subscribed to receive monthly packages, which will continue until you cancel it. The cost of Maxtropin is not too high, but certainly is not the free trial you would expect. This fact alone will lead to complaints, but the lack of label and ingredient information is also a big issue. My suggestion to you would be to look for an alternative, we have a suggestion for you below. 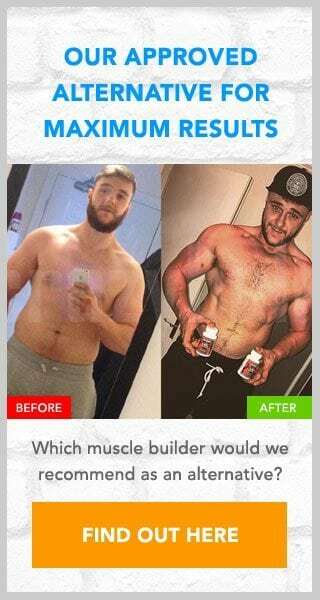 If you want a little extra help with your own training efforts then my suggested alternative to Maxtropin would be D-Bal, a supplement that comes highly recommended and is sold online via the Crazy Bulk website. This supplement has been created to mimic the benefits of the banned steroid Dianabol, yet without the side effects. All Crazy Bulk products are free from auto-shipping and have no hidden charges. This is because they are not available for trial. I signed up for the free trial and now that I have read these reviews I will cancel immediately after I receive the product in the mail..I don’t want auto fill and $$ taken out of my account without my permission. Have you tried contacting them using the details provided in the above review? This website has no link to this offer. You should use the contact details in the above review to cancel.